Shazwani Hamid's Blog: Be the VIP! - Very Important PROTON! Hey everyone! I have good news to share with you today! Now PROTON is thanking you with 2 contest that gives you an opportunity to win a free makeover on your entire car!! The contest is actually part of PROTON’s programme to acknowledge and reward faithful customers of PROTON who have fervently supported the national car maker over the last 26 years. 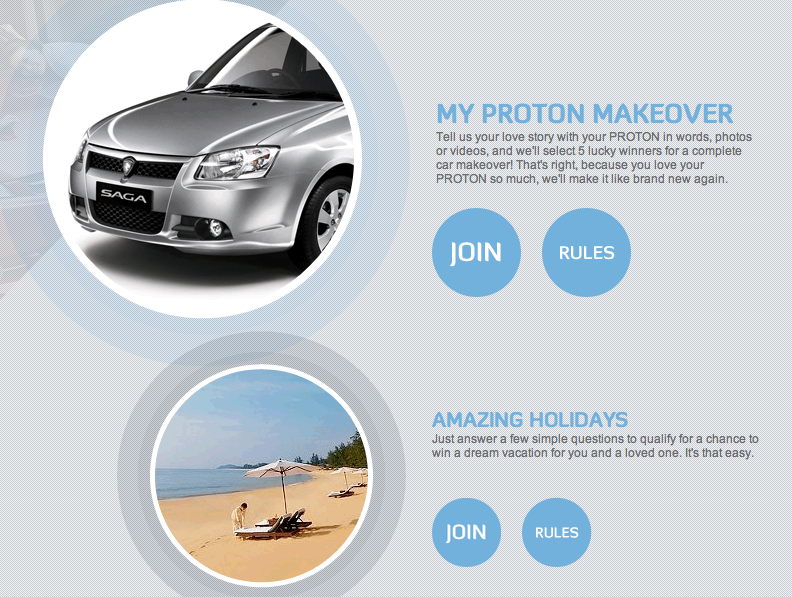 This “My PROTON Makeover” requires entrants to submit their story involving themselves and their PROTON car. PROTON will then identify the best stories or most heart-warming and reward five other winners with a complete car makeover! Yes, you read that right; THE ENTIRE CAR! That means..they’ll change EVERYTHING, in and out of the car, the interior and the exterior, making it looks brand new again! Woooh…sounds awesome, right?! All you need to do is to answer a few simple questions.. So if you possess a PROTON car, and have an interesting story about your PROTON car, do share it with them and take that chance to be rewarded! This “My PROTON Makeover” programme is looking for stories about PROTON car owners and cars, with outstandingly humourous or heartwarming stories earning a chance to have their car done up completely! So if you do have a PROTON car, and have a personal story or experience that exemplifies your passion/love for your car, do enter now and be the VIP!!! Anyway, this PROTON VIP Makeover programme will run until the end of the year, with entries closing on 28 December 2011. There are 5 more opportunities for your car to get a complete makeover! It's simple! If you own any PROTON car, then tell us your love story with your PROTON in words, photos or videos! And they'll select 5 lucky winners for a complete car makeover! They will make it like brand new again!! An example of the makeover for your PROTON car..
For those of you who are unaware, PROTON is already making-over a car. Fadly Hashim Roplay’s 19 year-old Proton Saga has been in the R3 workshop for a few weeks now, for a full re-work, from top to bottom, front to back and inside out. The department of the R3 unit of PROTON Motorsports Division is very excited about the project. “It’s not often that we are given free-rein to do up a car like this. Considering the background of the situation, we’re really looking forward to giving the car an outstanding makeover as a gift for Fadly.” - The fully reworked Proton Saga will be unveiled in September. Fadly and family with his PROTON car. Fadly reacting after handing his keys to the R3 unit of PROTON Motorsports Division Head of Engineering, Tengku Djan Ley. “He has such an attachment to the car that only he can describe best,” said his mother, Puan Hamiah Abdullah. “He once brought us down to shop in KL, and had his car towed by the traffic police as it was parked illegally. After frantically rushing to the impound and paying the fine, he ran over and hugged the car! We couldn’t help but watch and laugh!” she added. “This car and I have shared many stories together. We have been the brunt of jokes by my family and friends. My father-in-law has even offered to pay the down payment for a new car, but I politely declined,” said Fadly. “It is a bit of a relationship, where my car keeps me going and I also keep her going,” he laughed after revealing that thousands of ringgits have been well spent over the years to keep the car as road-worthy as possible and for the regular service maintenance. "Let's make it NEW again!" For PROTON owners, enter now for a chance to have a complete makeover for your car, and also, a chance to win a dream vacation for you and your loved ones! Just answer a few simple questions to qualify. It's that easy! The contest is also open to non-PROTON owners!!! 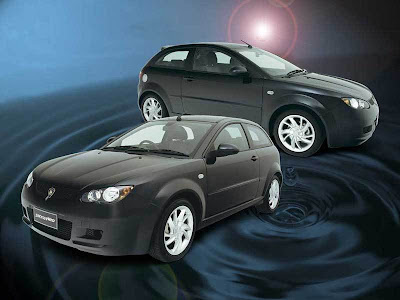 - For those considering buying a PROTON car soon, there's no better time than now. Just answer some questions and then take a test drive at your nearest PROTON showroom for your chance to win an all-expense paid holiday!